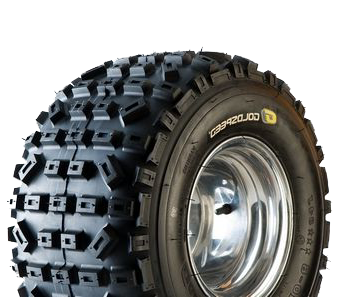 The Goldspeed SX ATV rear tyre is a true atv racing tyre constructed & built with the latest tyre technology available, built to last through the toughest conditions & provide the most consistent controlling traction available with its SX design & Goldspeed formulated rubber compounds only Goldspeed is capable of providing. The SX Tread Pattern & Rubber Technology provides consistent & predictable performance on or off the track. Available in blue & yellow compounds.